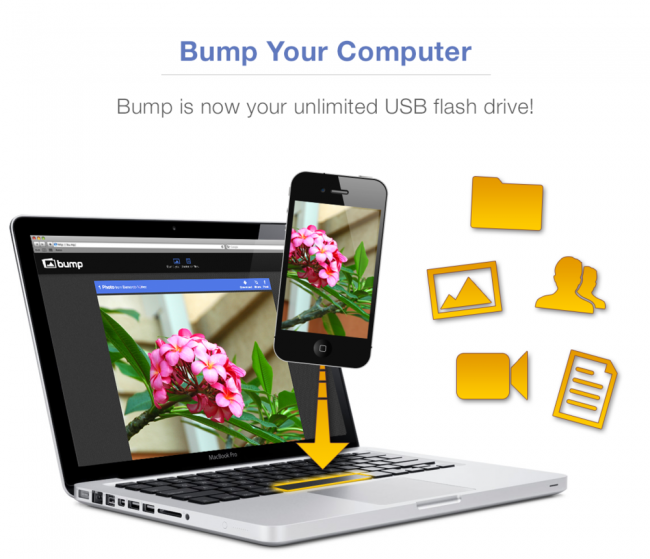 Last year, Bump launched a website that users loved. It allowed them to send photos from their phone to computer pretty easily. Today, they’re taking it to the next level and allowing phones and computers to swap photos and more files back and forth between devices without even having to think about cables. Once you are logged in to the Bump app on your phone and your computer, all it takes is a “bump” against the computer’s keyboard and the files will transfer without any more action. Moving photos and videos, saving phone contacts to your computer and transferring other documents are now easier than ever. If you’re ready to get bumping, hit the link below.